Accounting rules and firm performance: impairment and disclosure practices related to the AFS equity investments in Italian listed banks. In banking industry, equity investments classified as available for sale (AFS) are a relevant portion of financial assets. According to IAS 39, they must be measured (“at” and “after” recognition) at fair value. Increases or decreases in this value have to be recognised in the other comprehensive income, except when there is objective evidence of impairment. In this case, impairment losses are recognised in the net income. IAS 39 lists some events that can give rise to an impairment loss, for instance a “significant or prolonged” decline in fair value (par. 61). In the absence of detailed guidance, preparers have a great discretion in interpreting the meaning of the terms “significant” and “prolonged”. The paper shows the results of an empirical study about AFS equity investments in the annual report of Italian listed banks for the fiscal years 2007-2010. It investigates the events from which they deducted the impairment losses and the disclosure provided about them. The paper also looks at how the banks implemented the concept of “significant or prolonged decline in fair value”. The evidence is of a heterogeneous behavior, among different banks in the same year and through different years for the same bank. The disclosure provided to the market was poor until the Authority imposed a mandatory information. The authors formulate hypotheses about the reasons of these evidences, especially as regards earnings management policies because during the financial crisis and their impact on financial performance. Ali A., Hwang L. (2000), Country-Specific Factors Related to Financial Reporting and the Value Relevance of Accounting Data, Journal of Accounting Research, vol. 38, n. 1. Andrei P. (a cura di), (2006), L’adozione degli IAS/IFRS in Italia: impatti contabili e profili gestionali, Torino, Giappichelli. Banca d’Italia, Consob, Isvap (2010), Documento congiunto n. 4/marzo 2010 – Tavolo di coordinamento fra Banca d’Italia, Consob ed Isvap in materia di applicazione degli IAS/IFRS, Roma. Badertscher, Brad A., Burks, Jeffrey J. e Easton, Peter D. (2012), A Convenient Scapegoat: Fair Value Accounting by Commercial Banks during the Financial Crisis, The Accounting Review, 87 (1), pp. 59-90. Barlev В., Haddad J.R. (2003), Fair value accounting and the management of the firm, Critical Perspectives on Accounting, vol. 14, n. 2. Barth M.E., Landsman W.R., Wahlen J.M. (1996), Fair value accounting: Effect on banks’ earnings volatility, regulatory capital, and value of contractual cash flows’, Journal of Banking and Finance, vol. 19 n. 3-4. Barth M.E., Beaver W.H., Landsman W.R. (1996), Value-relevance of banks’ fair value dis­closures under SFAS No. 107, The Accounting Review, vol. 71, n. 4. Beatty A., Weber J. (2006), Accounting Discretion in Fair Value Estimates: An Examination of SFAS 142 Goodwill Impairments, Journal of Accounting Research, Vol. 44, No. 2, pp. 257-288. Beretta S., Bozzolan S. (2008), Quantity vs Quality: the case of Forward Looking Disclosure, Journal of Accounting, Auditing and Finance, 3, pp. 333-375. Botosan C. A. (1997), Disclosure level and the cost of equity capital, in “The Accounting Review”, 72(3), pp. 323-350. Bongini P., Laeven L., Majnoni G. (2002), How good is the market at assessing bank fragility? A horse race between different indicators, in “Journal of Banking and Finance”, 26, pp.1011–28. CESR, Comments regarding IFRIC tentative agenda decision on IAS 39 “significant or prolonged”, www.cesr-eu.org/popup2.php?id=5780, Committee of European Securities Regulators. Cooke T. E. (1989), Disclosure in the corporate annual reports of Swedish companies, Accounting and Business Research, 19(74), pp. 113-124. Cooke T.E (1992), The impact of size, stock market listing and industry type on disclosure in the annual reports of Japanese listed corporations, Accounting and Business Research, Vol. 22 No.87, pp.229-37. Core J.E. (2001), A review of the empirical disclosure literature: discussion, Journal of Accounting & Economics, Vol. 31,pp. 441-56. Daske, H., Hail L., Leuz, Verdi R. (2008), Mandatory IFRS reporting around the world: early evidence on the economic consequences, in “Journal of Accounting Research”, vol. 46, no.5, pp. 1085-1142. Davies, D., Brennan N. (2007), Discretionary Disclosure Strategies in Corporate Narratives: Incremental Information or Impression Management?, Journal of Accounting Literature, vol. 26, pp. 116-196. Diamond D., Verrecchia R. (1991), Disclosure, liquidity, and the cost of capital, Journal of Finance, 46, pp. 1325–1359. Eccher A., Ramesh K., Thiagarajan S.R. (1996), Fair value disclosures by bank holding companies, Journal of Accounting and Economics, vol. 22, n. 1-3. 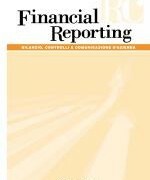 Favino C. (2010), La classificazione e la valutazione degli strumenti finanziari secondo lo IFRS 9 (revised). Osservazioni critiche alla luce dell’attuale crisi finanziaria internazionale, Quaderno monografico, Rivista Italiana di Ragioneria ed Economia Aziendale. Giunta F., Bonacchi M. (2005), L’informazione economico finanziaria: il divenire prevedibile, Gualandi L. (Editor) Middle Market e Riforme, Clueb. Guatri L., Bini M. (2009), L’impairment test nell’attuale crisi finanziaria e dei mercati reali, Milano, Egea. Gibbins M., Richardson A., Waterhouse J. (1990), The Management of Corporate Financial Disclosure: Opportunism, Ritualism, Policies and Processes, Journal of Accounting Research, 28(1), pp. 121-123. Gebhardt G., Reichardt R., Wittenbrink, C.(2004), Accounting for financial instruments in the banking industry: Conclusions from a simulation model, in “European Accounting Review”, Vol. 13, , No. 2, pp. 341–371. Healy P.M., Palepu K.G. (2001), Information asymmetry, corporate disclosure, and the capital markets: A review of the empirical literature, in “Journal of Accounting & Economics”, vol. 31, pp. 405–440. IASB, IFRS 13, International Accounting Standards Board. IASB, IAS 32, International Accounting Standards Board. IASB, IAS 39, International Accounting Standards Board. IASB, IFRS 9-Financial instruments (replacement of IAS 39), International Accounting Standards Board. IFRIC (2005), IAS 39 Impairment of an Equity Security, International Financial Reporting Interpretation Committee. IFRIC (2009), IAS 39 Financial Instruments: Recognition and Measurement-Meaning of ‘significant or prolonged, International Financial Reporting Interpretation Committee. IOSCO “IAS 39 Financial Instruments: Recognition and Measurement – Meaning of significant or prolonged”: http://www.iosco.org/library/comment_letters/pdf/IFRIC-9.pdf, International Organization of Securities Commissions. Kaznik R., McNichols M.F. (1999), Does Meeting Expectations Matter? Evidence from Analysts Forecast Revision and Share Prices, in “Working Paper, SSRN: http//ssrn.com/abstract=163482”,, pp. 1-56. Laux C, Leuz C. (2009), The crisis of fair-value accounting: Making sense of recent debate, Accounting, Organizations and Society, vol. 34. Lang M., Lundholm R. (1993), Cross-sectional determinants of analysts ratings of corporate disclosures, Journal of Accounting Research, vol. 31, pp. 246-271. Lionzo A. (2004), Il sistema dei valori dt bilancio nella prospettiva dei principi contabili internazionali, Milano, FrancoAngeli, 2004. Macchioni R., Sannino G. (2010), Verso un rinnovato Framework dei principi contabili internazionali, Scritti in onore di Vittorio Coda, Economia Aziendale & Management, Milano, Egea. Maffei M. (2009), La disclosure sugli strumenti finanziari secondo gli IFRS. Principi generali e profili applicativi, Rivista dei dottori commercialisti, vol. 3, pp. 447-494. Marchi L. (2003), I sistemi informativi aziendali, Milano Giuffrè Editore. Mariniello L.F. (2004), L’applicazione degli IFRS e la performance d’impresa, Rivista dei dottori commercialisti, n. 3. Minnick K.L. (2004), Write-offs and Corporate Governance, Working Paper, Available at SSRN: http:77ssr.com/abstract=562950” pp. 1-55. Moses O.D. (1987), Income Smoothing and Incentives: Empirical Tests Using Accounting Changes, The Accounting Review, Vol. 62, No. 2, pp. 358-377. Penman S.H. (2007), Financial Reporting Quality: Is Fair Value a Pius or a Minus?, Account­ing and Business Research, Special Issue: International Accounting Policy Forum. Pisani M. (2007), La misura delle prestazioni nel bilancio di esercizio. II comprehensive inco­me statement, Milano, FrancoAngeli. Potito L., Tartaglia Polcini P. (2010), I principi contabili internazionali: riflessioni critiche, Rivista dei Dottori Commercialisti, volume 2. Quagli A. (2009), Dal fair value al fairy value: coerenza concettuale e condizioni d’impiego del fair value negli IFRS, Financial Reporting, n. 1. Quagli A., Teodori C. (2005), L’informativa volontaria per settori di attività, Milano, FrancoAngeli. Riedl E.J., Gill S., Gore R., An Investigation of Assets Write-Downs and Concurrent Abnormal Accruals, in “Journal of Accounting Research”, Vol. 34 (Supplement), 1996, pp. 157-169. Schuetze W. (1987), Disclosure and the impairment question, Journal of accountancy, 1987, pp. 26-32. Sengupta P. (1998), Corporate disclosure and the cost of debt, The Accounting Review, vol. 73, n. 4, 1998, pp. 459-474. Skinner, D. (1994), Why firms voluntarily disclose bad news, Journal of Accounting Research 32, pp. 38-61. Strampelli G. (2011), The IAS/IFRS after the Crisis: Limiting the Impact of Fair Value Accounting on Companies’ Capital, European Company and Financial Law Review, Volume 8, Issue 1, pp. 1–29. Strong J.S., Meyer J.R. (1987), Asset Write downs: Managerial Incentives and Security Returns, Journal of Finance, Vol. 42, No. 3, pp. 643–661. Sweeney A.P. (1994), Debt-covenant violations and managers’ accounting response, in Journal of Accounting and Economics, Vol. 17, No. 3, pp. 281–308. Wallison P.J. (2008), Fair value accounting: A critique, Financial Services Outlook, Ameri­can Enterprise Institute for Public Policy Research, May. Walsh P., Craig R., Clarke, F. (1991), Big Bath Accounting” using Extraordinary Items Adjustments: Australian Empirical Evidence, Journal of Business Finance & Accounting, Vol. 18, No. 2, pp. 173–189. Weil D. (2002), The benefits and Costs of Transparency: A Model of Disclosure Based Regulation, paper within the Transparency Policy Project based at the Taubman Center, John F. Kennedy School of Government. Wagenhofer A., (1990), Voluntary disclosure with a strategic opponent, Journal of Accounting and Economics, vol. 12, n. 4, pp. 341-363. Verrecchia R. (1983), Discretionary disclosure, Journal of Accounting & Economics 5, pp. 179-194. Williams C.C. (2008), Toward a Taxonomy of Corporate Reporting Strategies, Journal of Business Communication, vol. 45, no. 3, pp. 232-264.